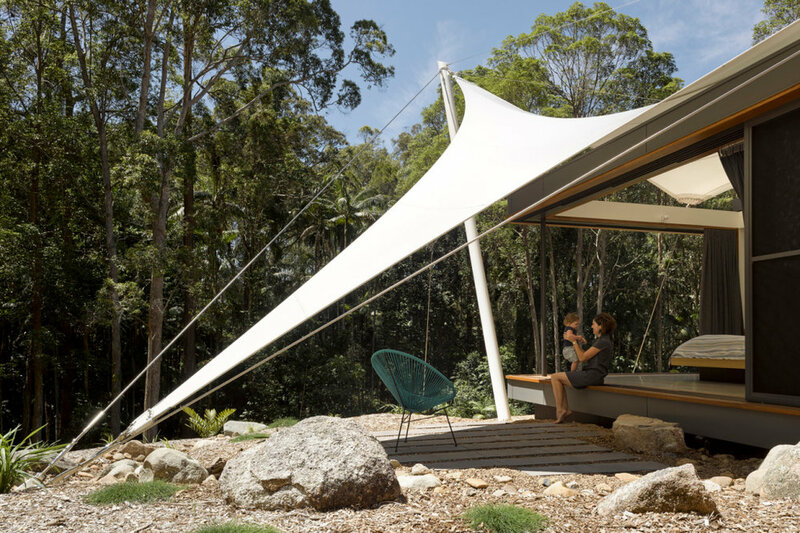 Designed by Sparks Architects, he built a tent-looking house in Queensland, Australia. the tent-shaped maison is built in the center of a forest, giving off a wall of trees with the sky right above, it’s basically camping in a house 365 days of the year. It has three bedrooms, an open living area and kitchen space. The house is basically designed to optimize forest views in the rooms while allowing in maximum sunlight. 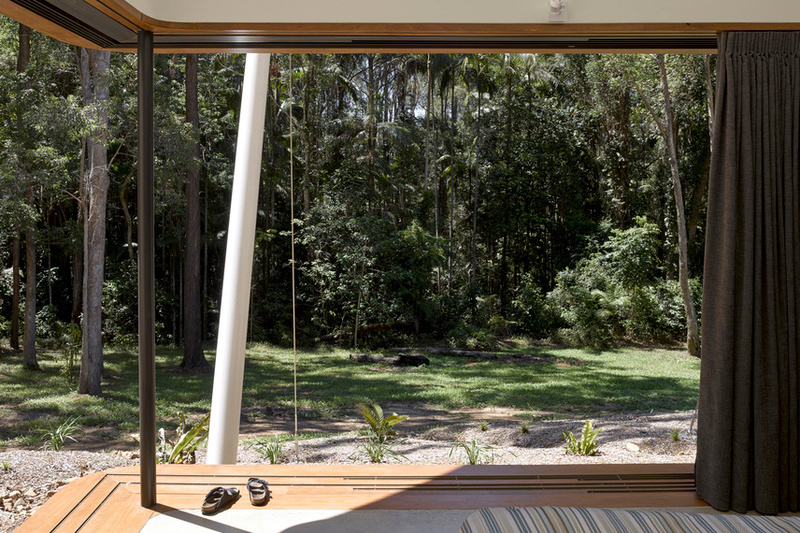 A dual climate insulation box allows the home to be closed off from the elements in the cooler months while sliding doors, walls and roof allow for it to have open air flow in the warmer months. The tent roof which gives this home its nickname and particular look is actually a second roof on top of the insulated one and is meant to take the heat load off the rest of the home in the summer months while allowing for maximum warmth from the sun in the winter.